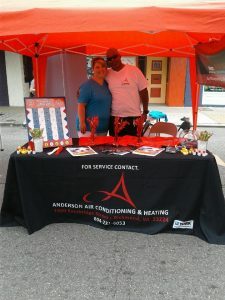 WHAT A BEAUTIFUL DAY FOR ANDERSON HVAC AT THE 2017 ANNUAL WATERMELON FESTIVAL! 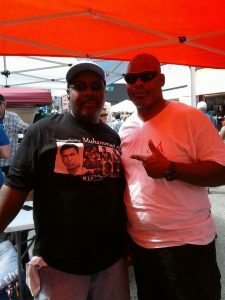 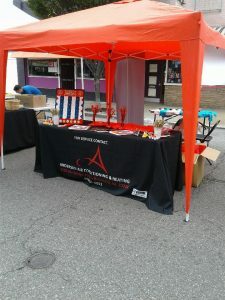 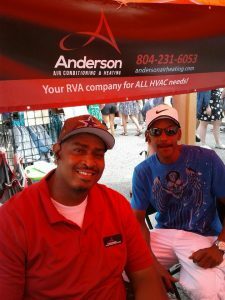 IT WAS A GREAT DAY MEETING ALL OF YOU AND ENJOYING THE WEATHER, MUSIC, FOOD AND FESTIVITIES! 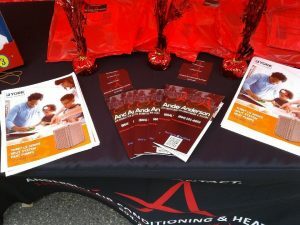 WE HOPE YOU STOPPED BY OUR BOOTH BUT IF YOU DIDN'T, YOU CAN CALL US FOR INFORMATION AND CHECK OUT OUR FACEBOOK! 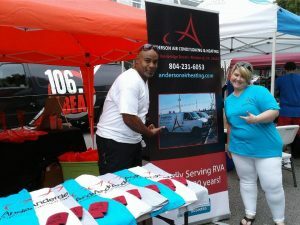 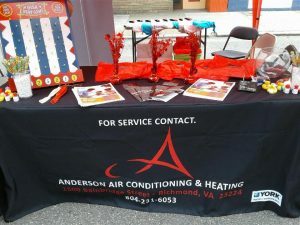 Anderson Air will be at the RVA Watermelon Festival!